A Boy And His Dog At The End of The World. 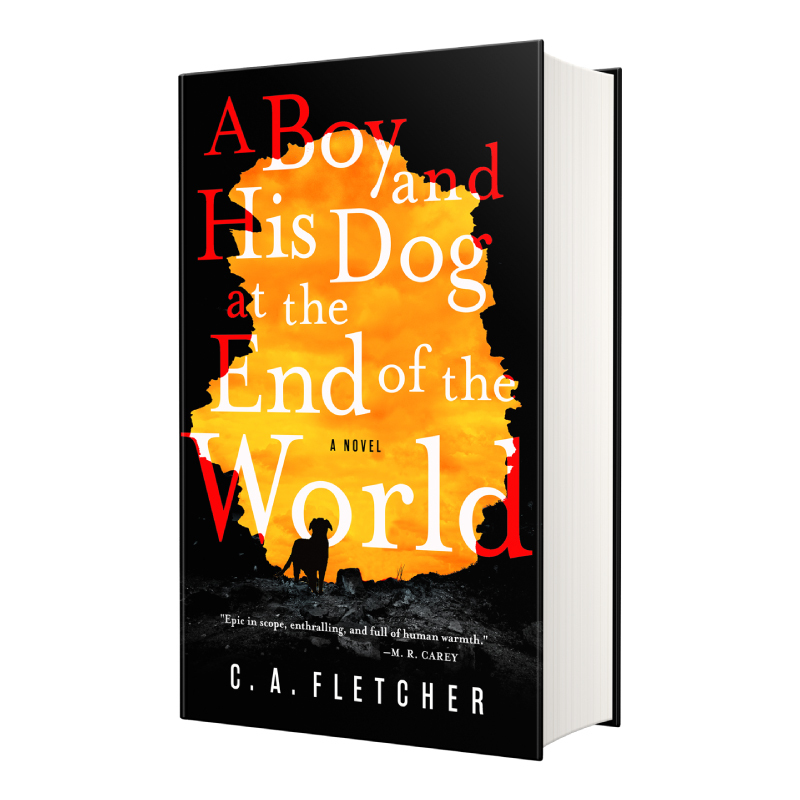 Win 1 of 8 hardcover editions of A Boy And His Dog At The End of The World. The perfect novel for the dog-loving bookworm. Win 1 of 2 French Terry Premium Sweatshirts and Long Sleeve T-shirt prize packs from Inkopious! Win 1 of 4 Dog Bundles! Win 2 months of fresh dog food with NomNomNow! Win 1 of 2 Vetericyn dog wellness prize packs. Win 1 of 4 WO dog toy prize packs. Win 1 of 3 dog outfits (Stretch Fleece + Swift Lock Collar) from Gold Paw Series. Win a Scandinave Pet Sofa in Pumice from Bowsers. Win 1 of 2 bluestem gift baskets. Win 1 of 5 prize packs of Hard Yogurt Chews & Herders Choice from Mongolian Chews! Win 1 of 12 Furzoff, the new and better way to remove pet hair from your home and vehicles. Win 1 of 2 premium Auburn Leathercrafters prize packs! Win 1 of 5 HandsOn Gloves—the massage your dog will beg for! Win 1 of 4 prize packs from Puppy Cake! Win 1 of 5 PureLUXE Elite Nutrition grain-free holistic dog food prize packs. Win 1 of 4 Mirage Pet Products gift certificates worth $50! Win 1 of 8 hardcover editions of A Boy And His Dog At The End of The World. Win a Scandinave Pet Sofa in Flint from Bowsers!